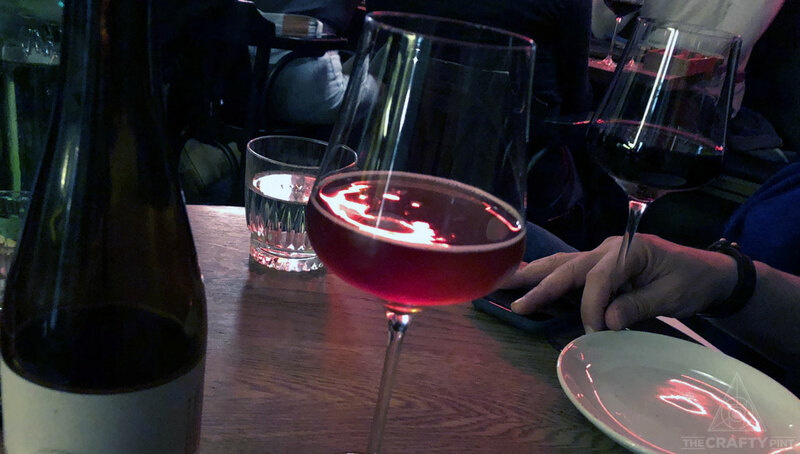 As anyone who’s ever taken a bottle of La Sirène’s Fleur Folie into a BYO wine-only dumpling place well knows, the lines dividing beer and wine are converging. Sure, the phenomenal growth of glamorously utilitarian cans and a relentless desire for novelty are taking beer in other directions too, yet growing numbers of breweries are blending or barrel ageing their beers, sometimes bringing wine grapes into play. 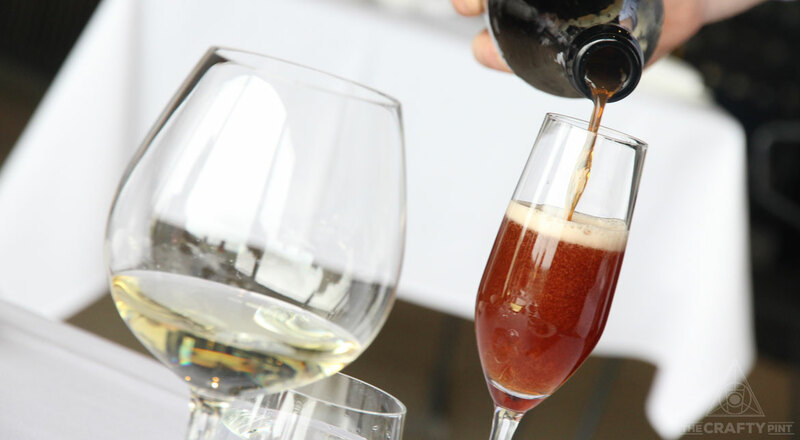 Furthermore, the presentation of such beers often has far more in common with wine than the six-pack of IPA in your fridge: heavy duty Champagne style bottles, often in tandem with corks and cages. Not only has co-fermentation between grape and grain become increasingly commonplace – 3 Ravens' experiments with riesling and pinot noir pomace; Beerfarm's much-loved Shirazzaweiss; Mornington Peninsula's VinAle series; Cupitts' recent co-ferments, Edge's Saison Cuvée to name a few – but some breweries have gone a step further and turned their hands to making wine. 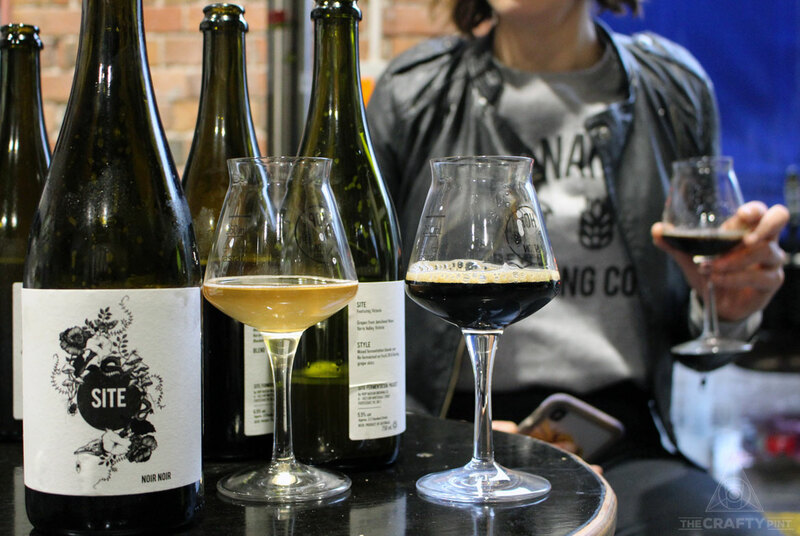 Garage Project launched its own wine label, GP Crushed, while August 2018 saw Marrickville’s Wildflower release 2018 Rosé, a beer-wine hybrid minus the beer, and Little Bang is set to launch its first wine, Willy Stardust, this month. If you've attended an event featuring Boatrocker Brewers & Distillers founder Matt Houghton, you may have heard him offer a battle cry along the lines of: "My mission is to knock wine off the dinner table." And when you take a look at many aspects of the Braeside operation – the Barrel Room, presentation of individual beers in bottles, the look and feel of the brewery's website – there is much that reflects that world, even if his inspiration comes from beer, albeit beer as experienced in Belgium. “Certain nations that have not necessarily had wine as their go to – and the Belgians are the prime example of that – they treat beer in a very similar light as wine,” Matt says. “It’s commonplace to have a beer at the table and it doesn’t have to be sour, it can be any type of beer that can benefit from being at the table. It's the manner in which wine has embedded itself into this part of our culture in a way that beer hasn’t that he sees posing a significant challenge to brewers eager to move beyond beer's established homes. With beer traditionally the workaday social lubricant, talking about the nuances of blending, the history of a style or how to match a particular barrel aged beer with food is still more likely to be dismissed as wankery than a similar discussion centred on the worlds of, say, wine, food, cocktails or cheese. Yet, says Matt, local brewers need to cater for those drinkers that are interested in such stories – or, indeed, drinkers who might be converted by such an experience. “With the number of the events we’ve done, we always come across people who are new to it or who haven’t ever realised that you could do something like what we do with food and beer,” he says. When Belgium met Mornington Peninsula... Port Phillip Estate Chardonnay and Rodenbach Caractère Rouge accompanied lunch when the winemaker and brewer prepared for their Brew vs Cru face-off at Good Beer Week 2015. It brings to mind a past Good Beer Week event at Vue de monde, where Filip Sneppe from Rodenbach went up against Glen Hayley from the Port Phillip Estate/Kooyong wineries on the Mornington Peninsula, pitting half a dozen Belgian beers against half a dozen wines. Among the guests was a couple who had won tickets in a Broadsheet competition and said that, while they didn't drink beer, they were attending out of curiosity. Two courses in, out came Rodenbach's Caractère Rouge and preconceptions were shaken; when Boon's Mariage Parfait followed, those preconceptions were shattered completely and they started scribbling novellas about the beers on their menus for future reference. In Boatrocker's case, this re-education goes beyond the beers and the events at which they're served. If you’ve ever used the brewery's online store – which itself takes cues from those of small wineries and distilleries – you could be forgiven for wondering who in your house had ordered wine when the delivery arrives. “Beer’s traditionally been in 330ml stubbies or cans and shoved in a box that has the cheapest amount of packaging possible,” Matt says. “What we’ve done with the six-pack boxes is wine inspired; [wineries have] traditionally done higher end packaging with a higher end look. Just by the nature of barrel ageing, our beers aren’t cheap compared with a pale ale or a pilsner. Banjo Harris Plane, co-owner of Fitzroy's Bar Liberty, has championed beer within fine dining since his time as head sommelier at Attica. The restaurant in Johnston Street has amassed multiple awards for its food and wine offering since opening but also has a diverse beer list featuring a liberal sprinkling of barrel aged and mixed ferment offerings. While issues of perception remain, he believes there's a growing number of drinkers accepting the kind of beers created by the likes of Wildflower and Two Metre Tall. Hallertau's chardonnay barrel aged Funkonnay and local grenache sit side by side on the Bar Liberty menu. "It just takes time, people’s palates evolve and so do people’s understanding of what a beer can be," Banjo says. Large format bottles allow for sharing between friends and ensure such beers are treated differently to those you'd buy by the pint. And, while some drinkers might balk at seeing beer in a wine bottle at a premium price, Banjo says there are plenty of people interested in beer that isn't designed simply for refreshment, in beer that's spent years maturing in barrels or bottles rather than days conditioning in stainless steel. “It’s the same in wine, there’s various trends and niches, but they certainly gain a broader appeal over time,” Banjo says. When it comes to the future, Banjo is particularly excited by those who are blurring the lines between drinks, whether it's distillers using barrels that were previously filled with beer, or brewers turning towards winemaking. One Melbourne brewery doing just that is Hop Nation, which recently launched a spin-off label called Site Fermentation Project. It’s a move that shouldn’t come as too much of a surprise considering Sam Hambour and Duncan Gibson's former lives as winemakers. Under the Site banner you'll find beers fermented with wild yeasts, barrel aged beers, mixed fermentation of grape and grain as well as more traditional wines. Within the range are the likes of La Jeunesse, a Flanders red style ale that spent a year in red wine barrels at the Footscray brewery, a chardonnay made at the Mornington Peninsula site the brewery shares with winemakers Kerri Greens and a rosé released in a can, thus completing their own 180° turnaround. Visitors to Hop Nation's Footscray brewery enjoying a tasting of the Site range. Sam says they chose the name “Site” as a nod to the importance of location for both winemakers and those brewers who focus on wild ferments to create a form of terroir in beer. The development of the Site label is also driven by a desire to experiment, which is what led him and Duncan to start brewing together back in New Zealand. He says the experimentation with barrels or bacteria adds new difficulties for brewers, particularly given how young this niche is in Australia. Blending, co-ferments and wild beers aren’t just a little known area for brewers but for most drinkers too. Yet the breadth of flavours, aromas and textures that can be conjured within such beers, as well as their presentation, offers the chance to open doors, or at least start conversations, with less beer-centric bottleshops and restaurants and then, through them, with new drinkers. “It’s another option; when people go out and eat and drink now they want to try heaps of different stuff,” Sam says. “Food matching with beer opens up a lot, especially with sour beer," which he says gives restaurants a wider flavour spectrum with which to play than wine. This broad spectrum of characters can prove a double-edged sword, however. In the right hands, beer can be paired with any food, but Matt believes its diversity can create a challenge in itself. “We definitely faced an uphill battle even with fine dining restaurants who love beer,” he says. “To get them to push beer is quite a difficult concept; they can recommend to a customer, but the punter might say, ‘Nah I’ll have a red instead.’." What gives him hope is the broad palette beer can bring to the space traditionally reserved for wine. 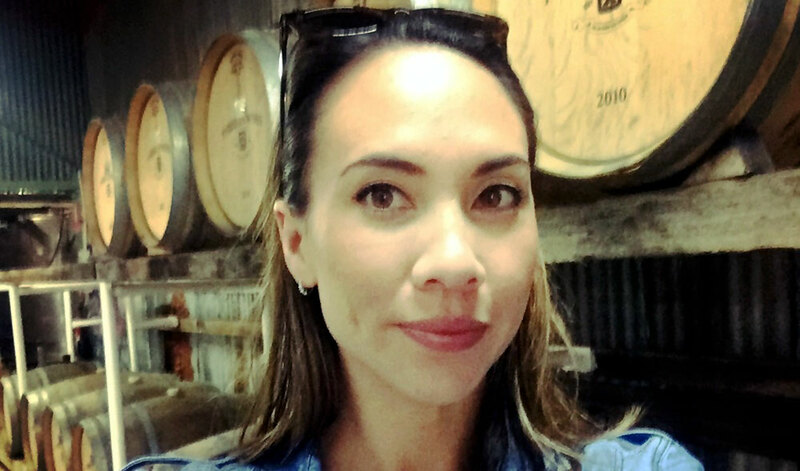 According to Shanteh Wong, head sommelier at Sydney’s Quay, named Gourmet Traveller's Restaurant of the Year for 2018, it's an evolution she's witnessing over time too. Creating memories... Shanteh Wong is head sommelier at Quay, the Sydney restaurant named Gourmet Traveller Restaurant of the Year in 2018. From a fine dining perspective, mixed ferment beers and those that have been barrel aged can deliver a palate length that encourages savouring as well as pairing with food. Meanwhile, the stories around beers and breweries help pull diners in, to give them a reason to try something new. “It’s about educating people, but doing it in a way that’s engaging, and understanding who they are," Shanteh says. "It’s like wine: if you start talking to people about chemical process and pH levels it can get very dull, but if you tell it as a story you can whisk people away. 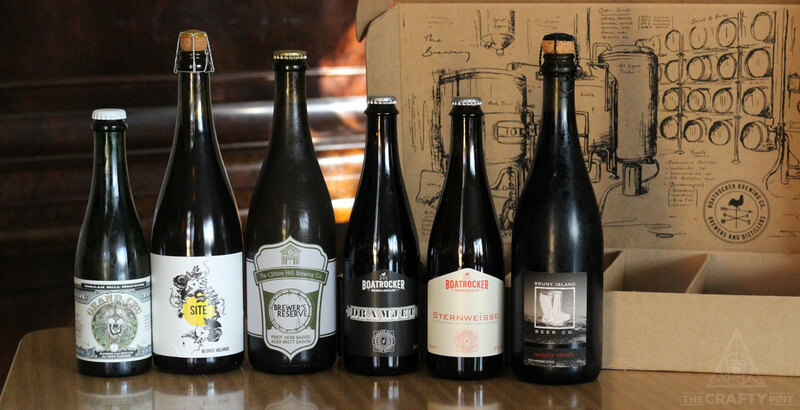 But what of the flipside: winemakers watching the evolution of the beer world. Banjo says he's started to see a few embrace fruit in a similar manner to which craft brewers approach adding new ingredients, particularly in sour/wild/mixed ferment beers. 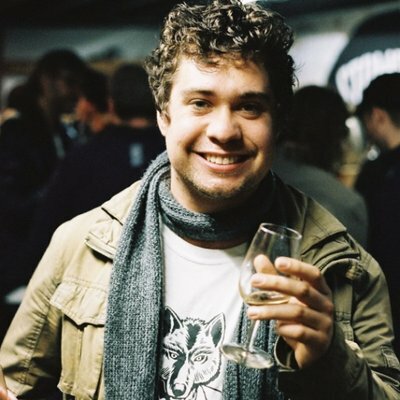 "I don’t know how long it will take but we are seeing winemakers taking a leaf out of the brewing book and basically flavouring wine," says Banjo, who says there's a new generation of drinkers just as eager explore this new world.